This is a great piece! 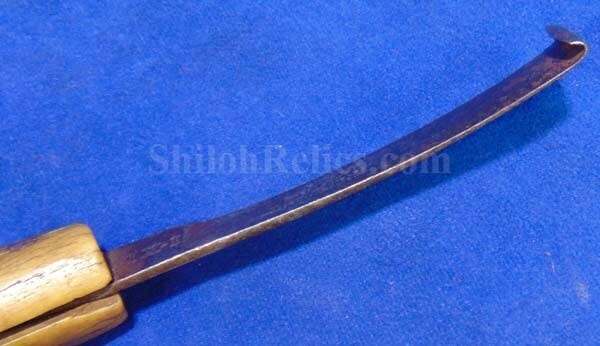 This piece started it's life as a size sideknife that was made by the famous firm of George Wostenholm. 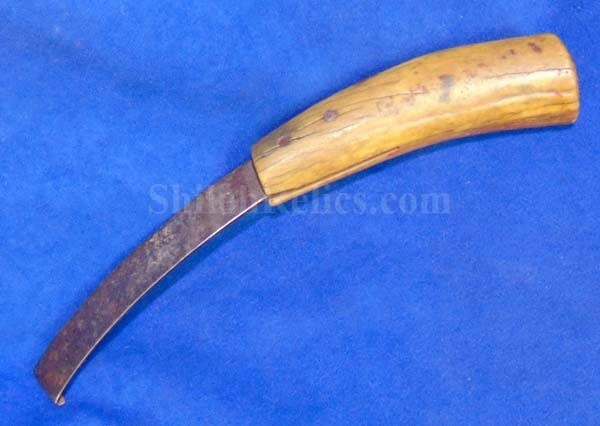 This knife was bent and had the end rolled so it could be used as a hoof scraper for a horse. What a cool way to improvise a piece. 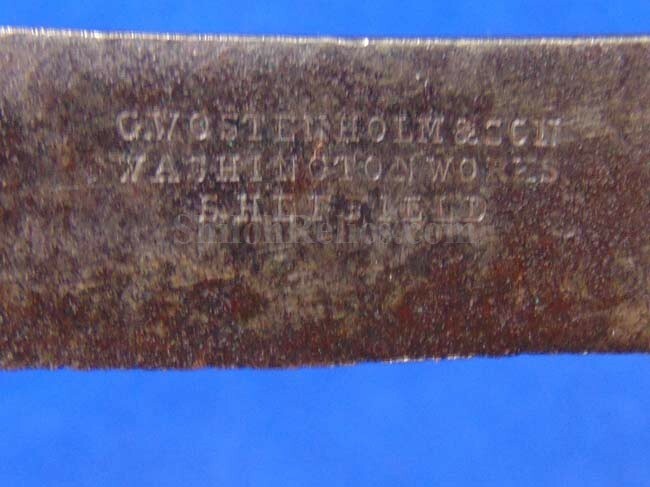 The left hand side of the blade has the proud maker's marking that reads "G. WOSTENHOLM & SONS / WASHINGTON WORKS / SHEFFIELD". 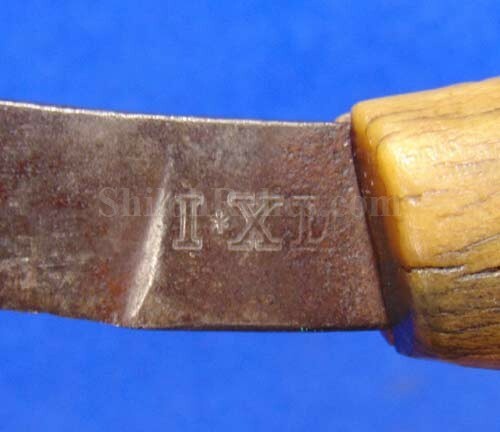 AT the base of the blade it has the bold and clear quality marking of "I * XL". 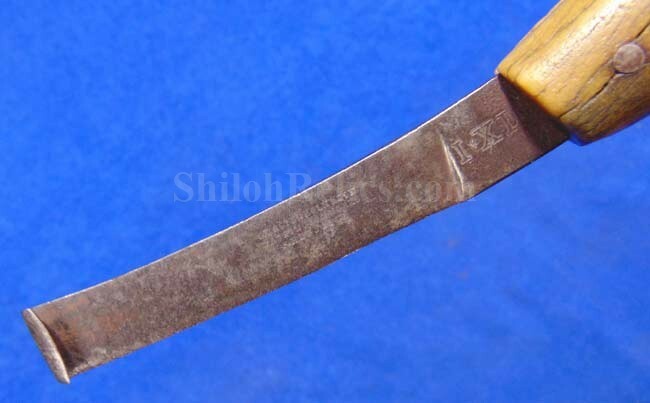 The knife has the original handle replaced with a piece of horn and you can tell from the wear that it was used quite a bit. 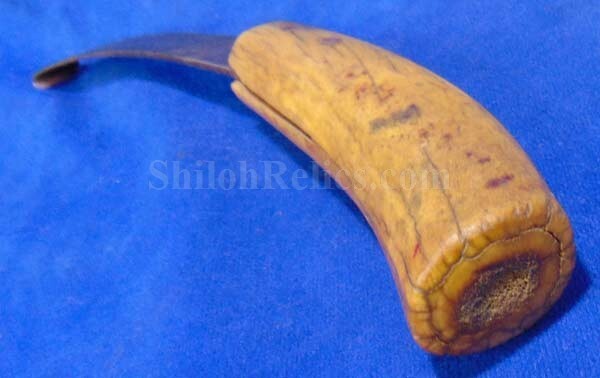 What a great piece of Civil War horse equipment made from a knife.